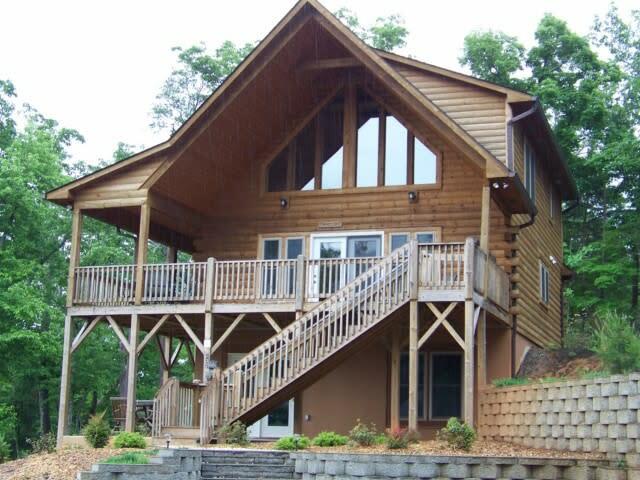 Heaven's Gate is a beautiful log home located in a private gated community. In the home itself there are three (3) bedrooms and three (3) bathrooms on three (3) levels with separate A/C zones, allowing you and your family plenty of privacy and an abundance of space with maximum comfort. The main level offers a wraparound porch, living room with stone fireplace, high ceiling, kitchen/dining area, and private bedroom. 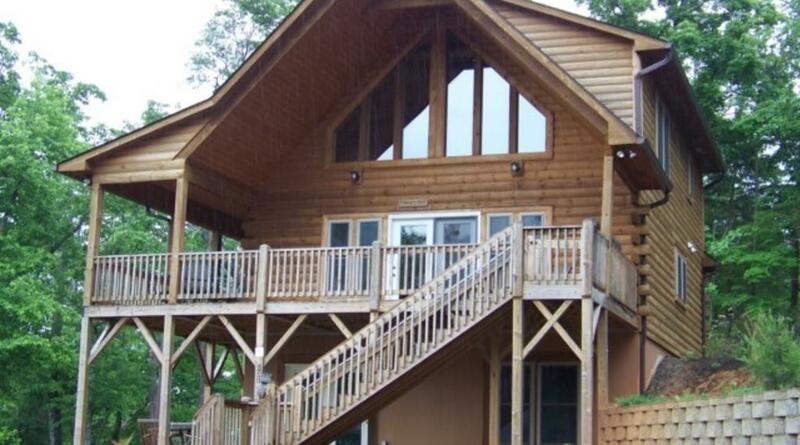 The upper level has a king bed, bathroom with a walk-in shower, and cozy leather sofa and TV in the loft area. The lower level is outfitted with your children in mind. It has a full and twin bed as well as a bathroom with a shower/tub. The spacious family room comes complete with a wet bar, Foosball table, PlayStation 2 system with plenty of games, movies, and board games for those lazy rainy day afternoons. The home has two televisions and a DVD player.